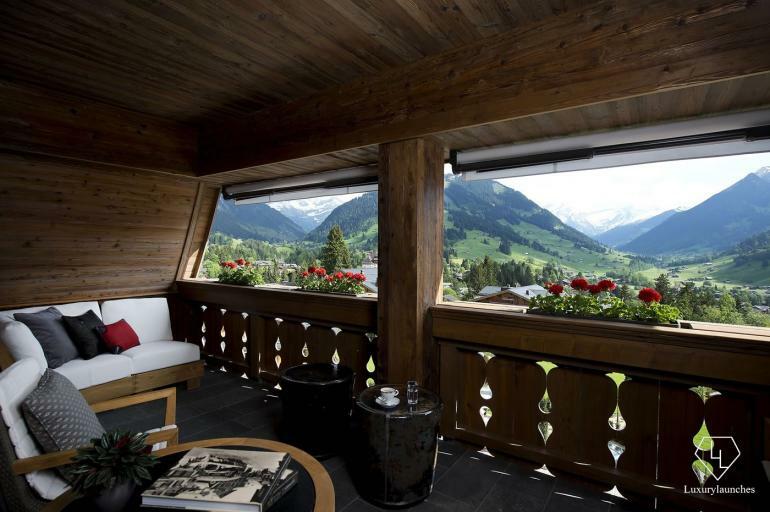 According to legend, the chalet village of Gstaad in Switzerland was created by the hand of God, or as legendary actress Julie Andrews once said: “Gstaad is the last paradise in a crazy world”. 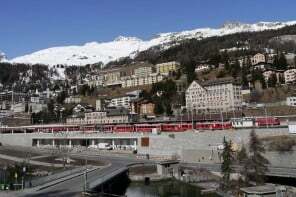 The region is synonymous with style, charm and understated luxury and is nestled amidst picturesque lakes and mountains and all things truly Alpine. 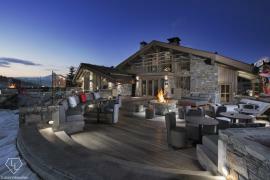 Here’s where you will find luxury chalets, ski resorts, outstanding shopping facilities, and top class cuisine. 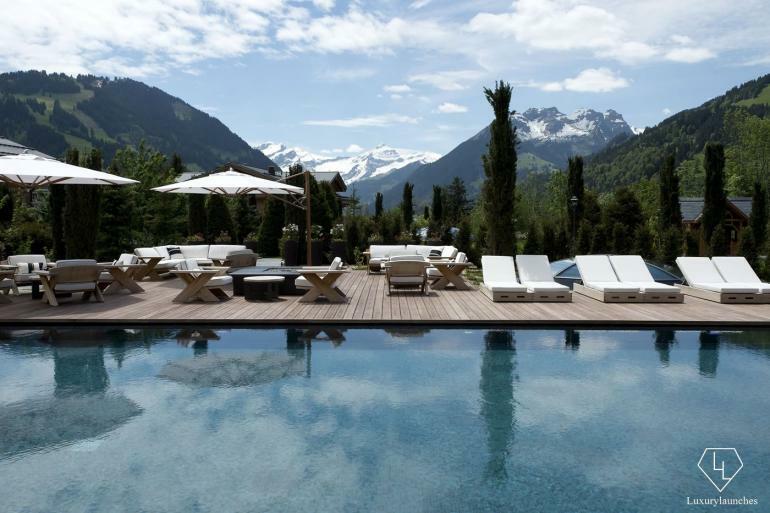 There is so much to love about this place including the region’s newest hotel, The Alpina Gstaad. 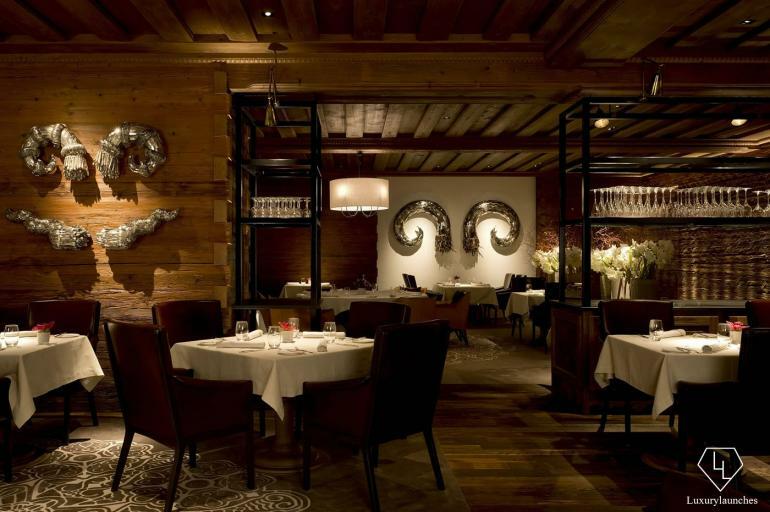 The Alpina Gstaad is a member of Preferred Hotels & Resorts – Legend collection and is designed in the style of a luxurious private chalet with traditional and contemporary Swiss interiors. 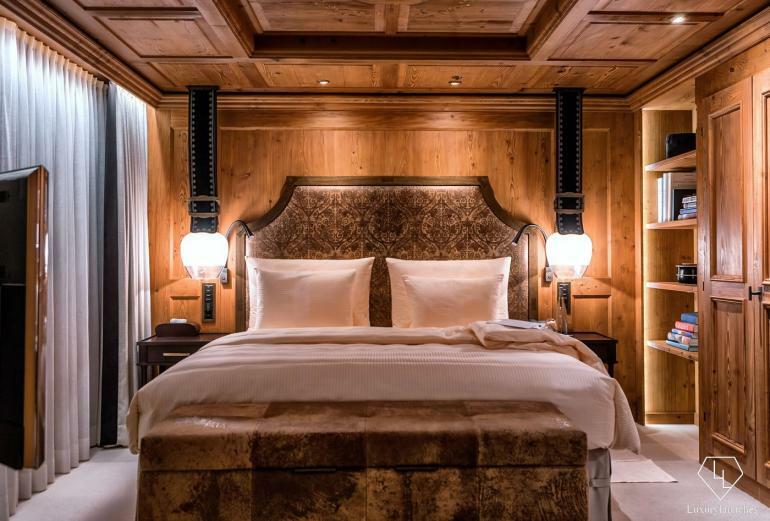 Each of the 56 rooms and suites reflect the expertise of artisans from the region and creates for you an Alpine experience like no other. 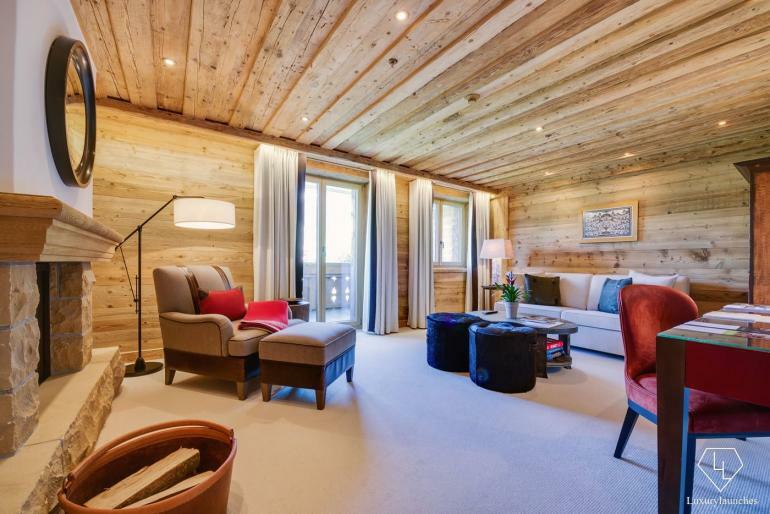 We absolutely adore the Junior Suite done up in warm wood work and its large floor to ceiling windows that offer beautiful views over the pastoral Gstaad countryside. 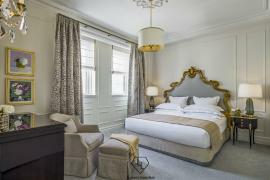 The Junior suite measuring 678 Sq. 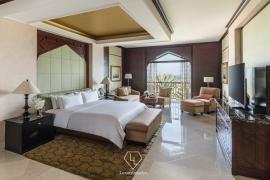 Ft. includes a large bedroom combined with a lounge area, a private balcony dining area and a separate shower and bathroom. The thing that really stands out is the hand-built natural stone fireplace that complements the wooden décor very well. 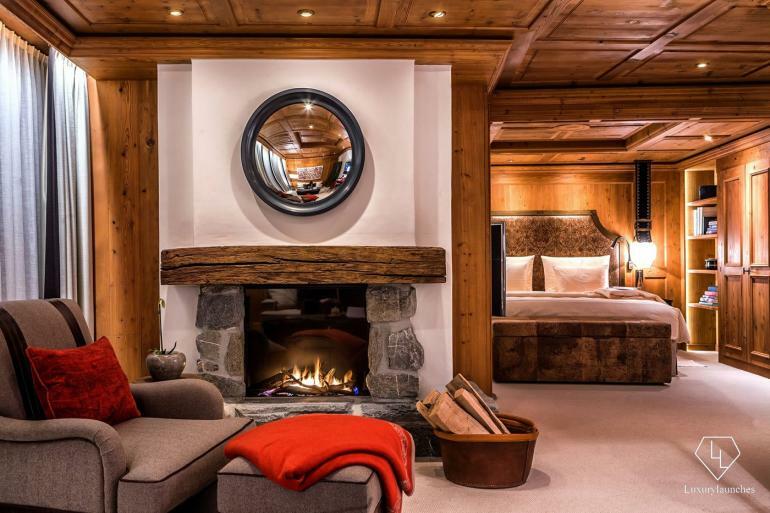 The suite does indeed reflect true Alpine style with its balanced use of contemporary and local design. You can also see the celebration of local craftsmanship everywhere; from decorative accessories such as traditional leather straps used to hold cowbells (an iconic image for Saanenland) to the cute wooden bucket to hold your logs of firewood. Picture contemporary décor set against a backdrop of old wood paneling – gives you that warm cozy feeling, doesn’t it? That’s what the suite does to you, it gives you an overall atmosphere of absolute comfort. 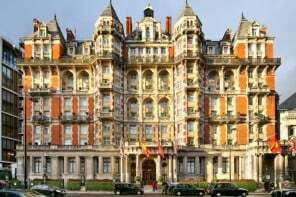 To add to your comfort and so you stay in touch with the outside world, you also have high speed internet access, and for your entertainment, Bang & Olufsen multimedia systems. Toiletries are the luxurious Acqua di Parma range; a symbol of Italian elegance. 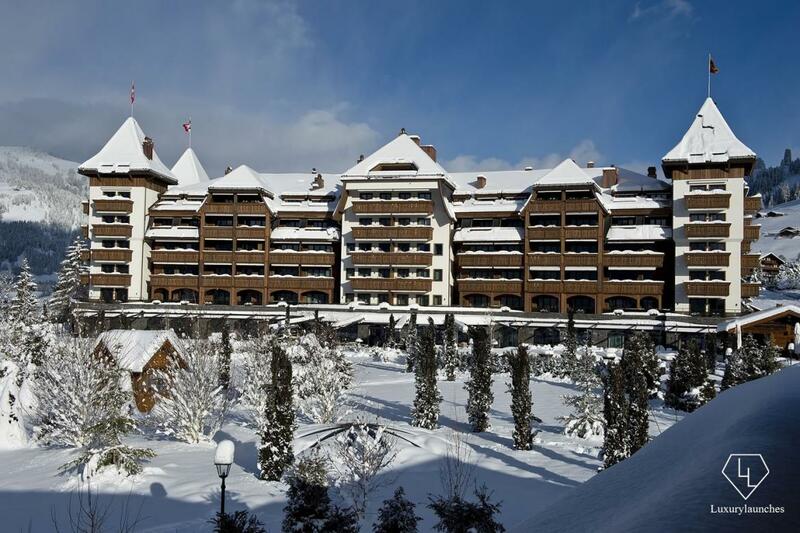 You can also avail a free shuttle service between the hotel and the village of Gstaad. For your palate, the hotel offers a variety of culinary options such as the fine dining Sommet and traditional Swiss Stübli. 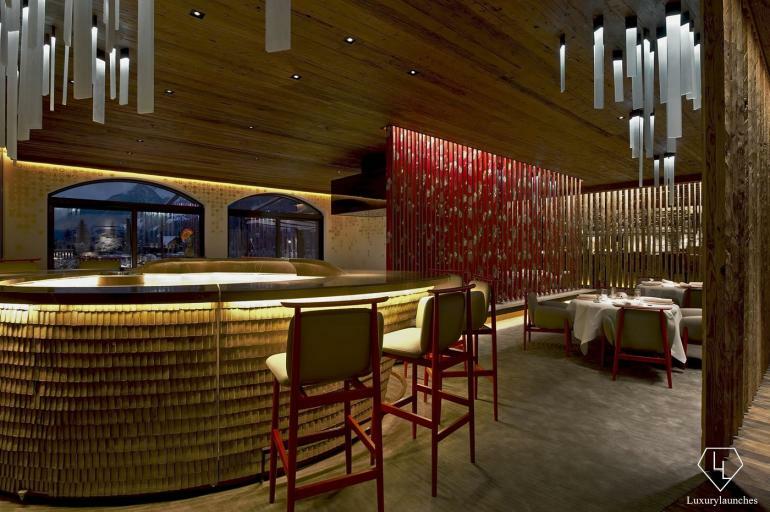 Or if you prefer sushi, sashimi or sake; dine at the contemporary MEGU which was recently awarded one Michelin star and 16/20 Gault Millau points. For rest and relaxation, the Six Senses Spa is a true sanctuary of peace and well-being offering unique treatments by skilled practitioners. 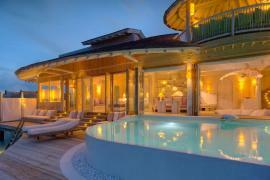 The spa also includes an indoor pool, an outdoor pool in the garden, two Jacuzzis, a yoga studio and a fitness center. If you’re looking for that one thing it has to be the décor which is a mix of old world and contemporary. We love the level of detailing and local craftsmanship which can be seen in every nook and corner. 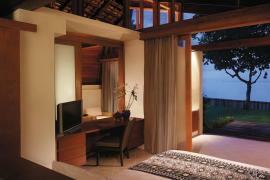 The rich wood paneling sets off the modern & contemporary décor and gives the suite a cozy feel. Warning – you may never want to step out.